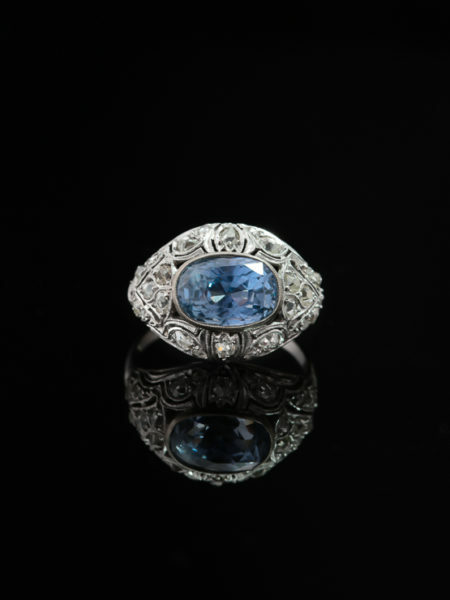 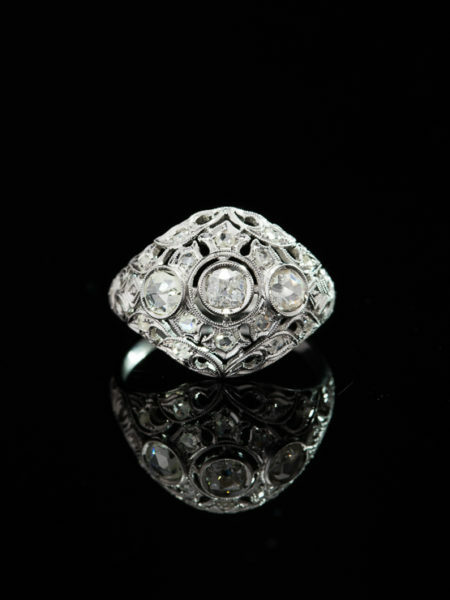 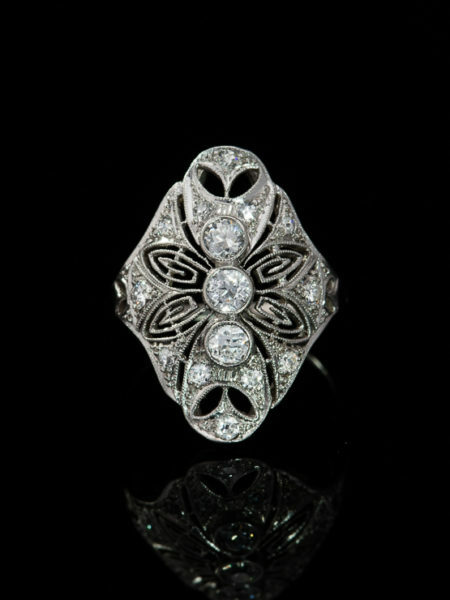 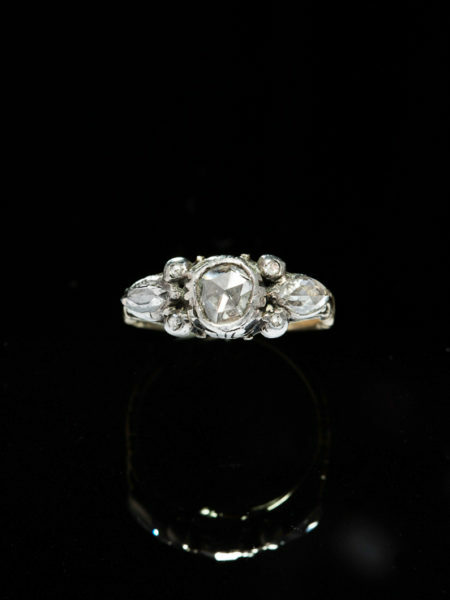 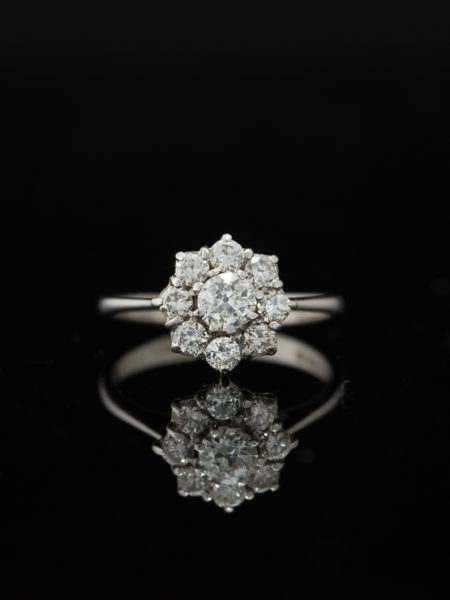 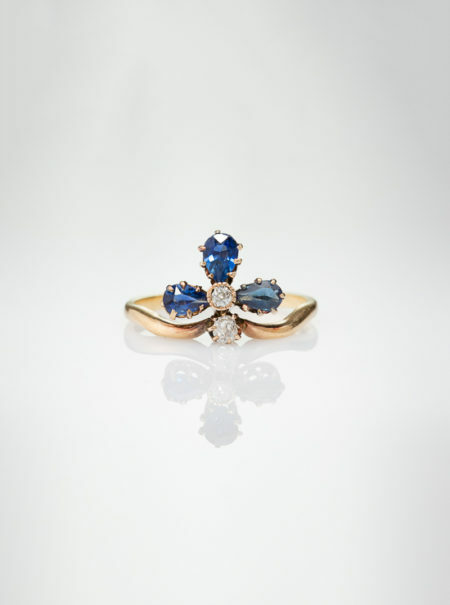 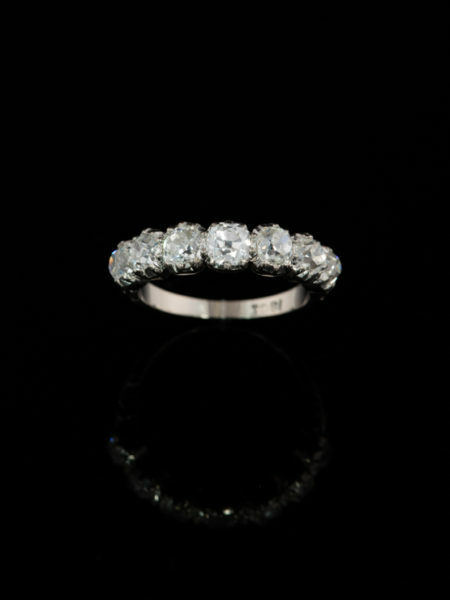 Art Deco aesthetics, elegance of style and sophisticated femininity mark this diamond ring. 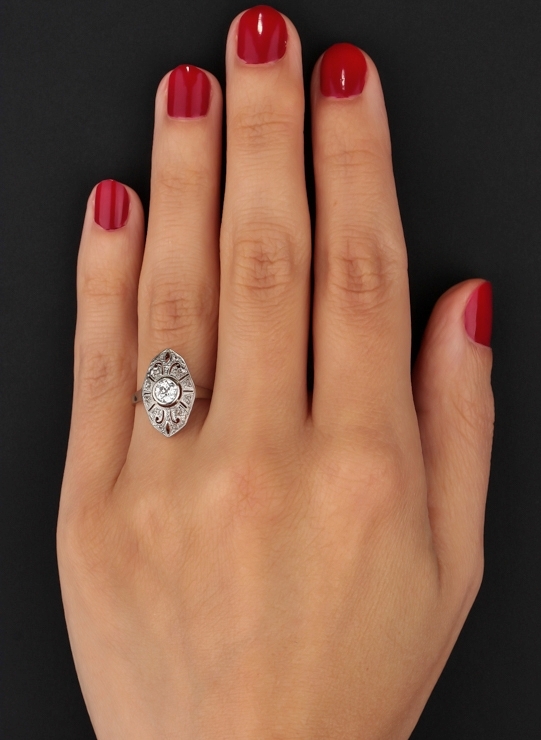 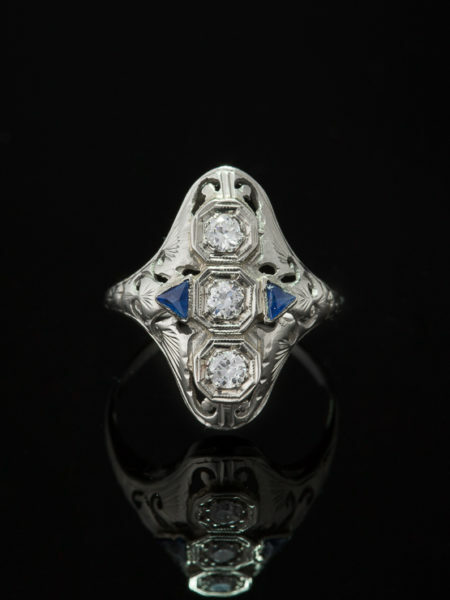 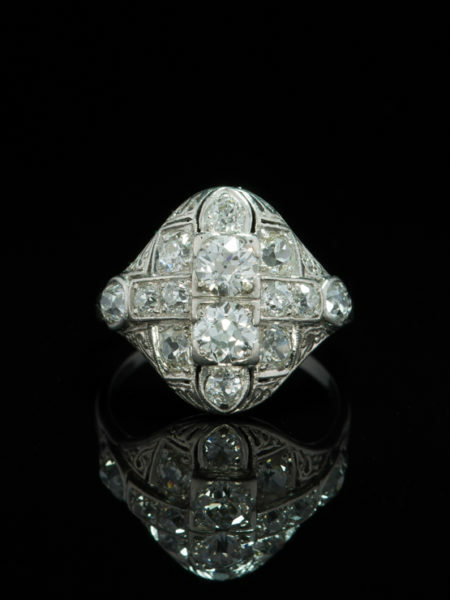 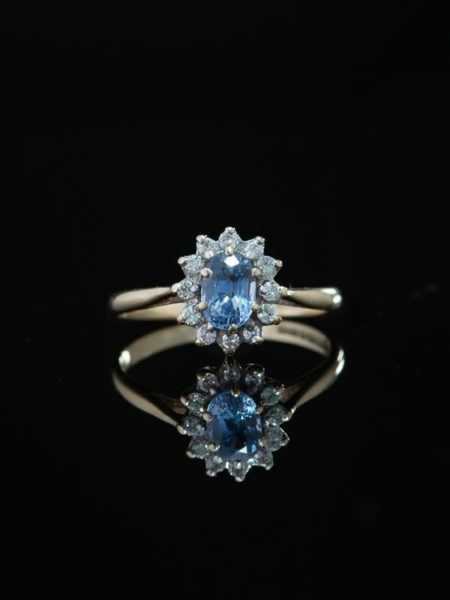 Subtle and sophisticated this diamond solitaire navette ring from Art Deco era shows mystery and glamour. 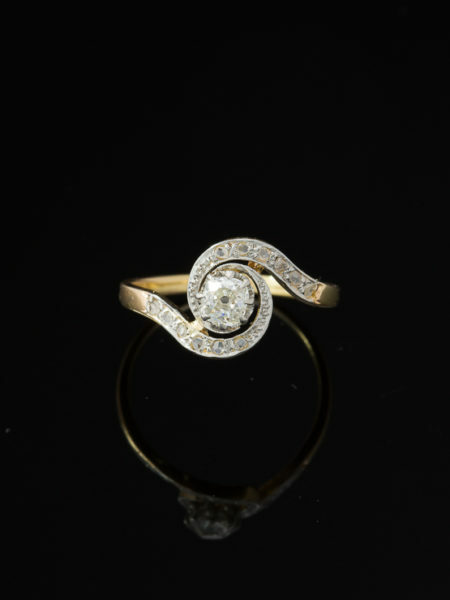 Prisms of light reflects with sparkling diamonds, millgrain accents and gentle sweeping curves add richness and elegance. 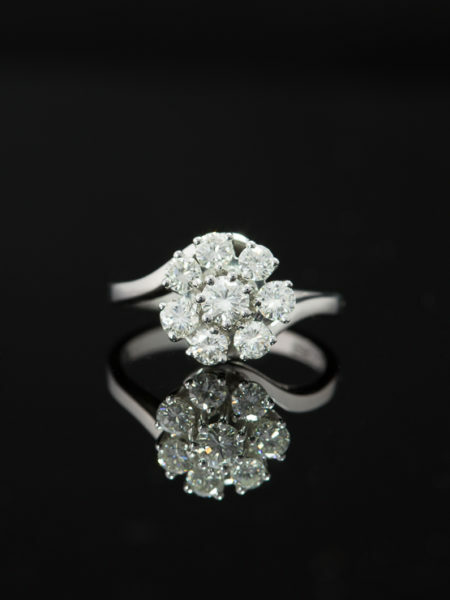 Light and airy a sensual silhouette is centered with a bright old European cut diamond of approx .45 Ct of great quality set in a round collett floating in open space with life and sparkle. 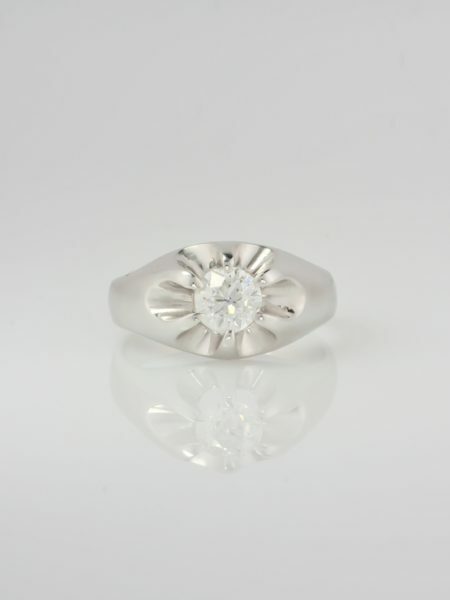 Open work of scroll forms and linear elements capture in their mill grain confines twelve twinkling rose cut diamonds totaling approx .12 Ct by spread. 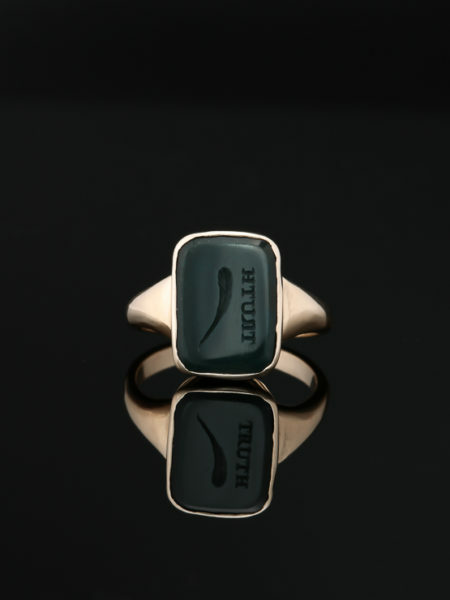 Balanced proportion, fine openwork culminating into a smooth shank which provides ultimate comfort for wear. 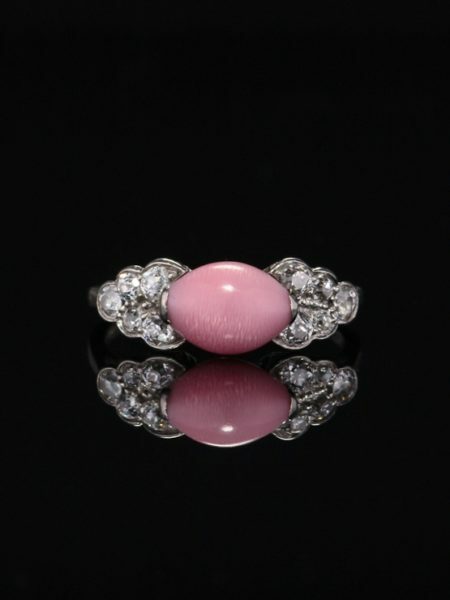 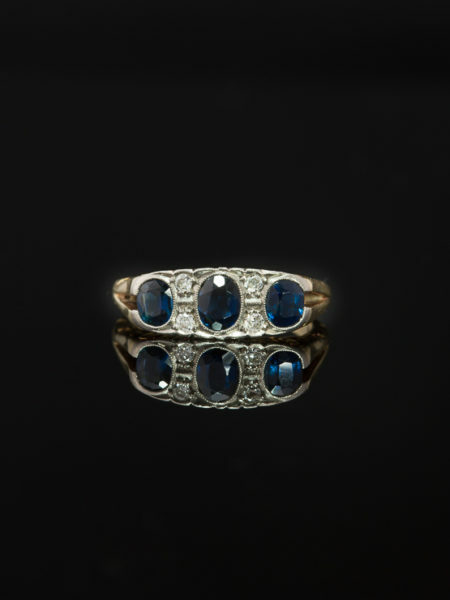 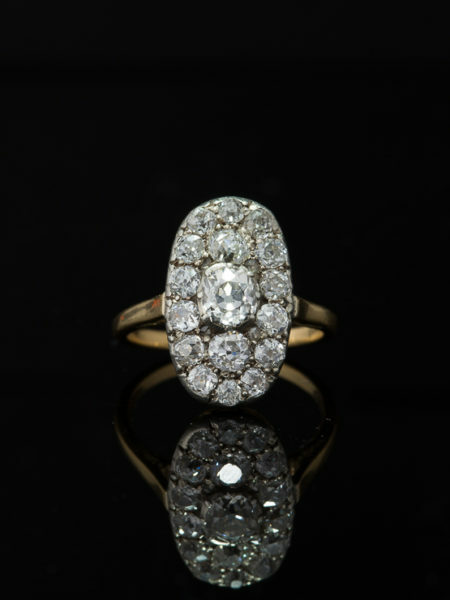 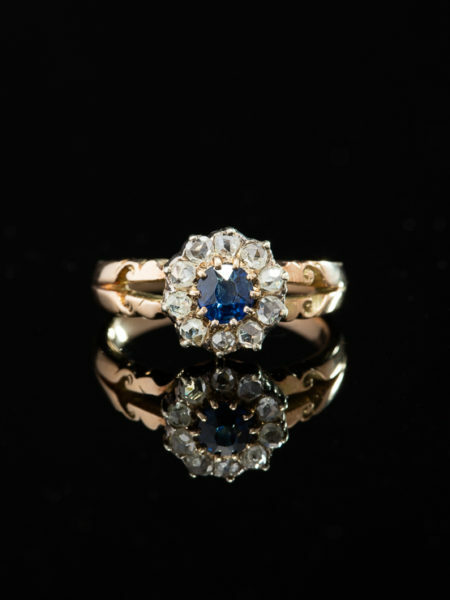 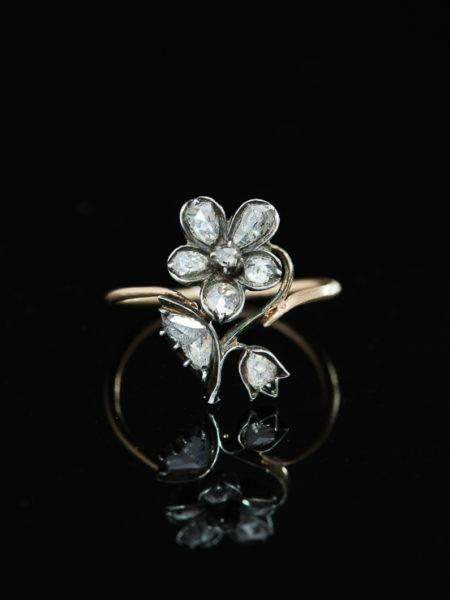 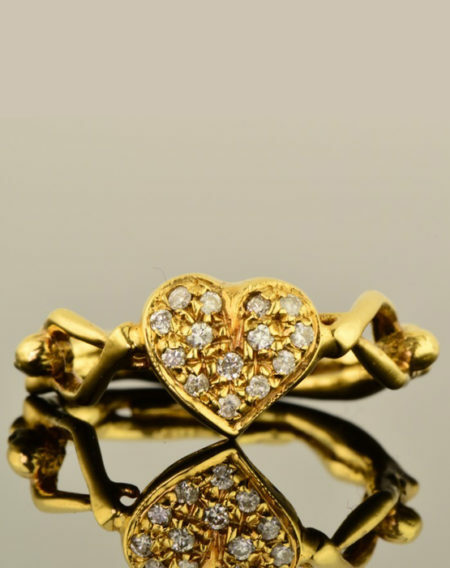 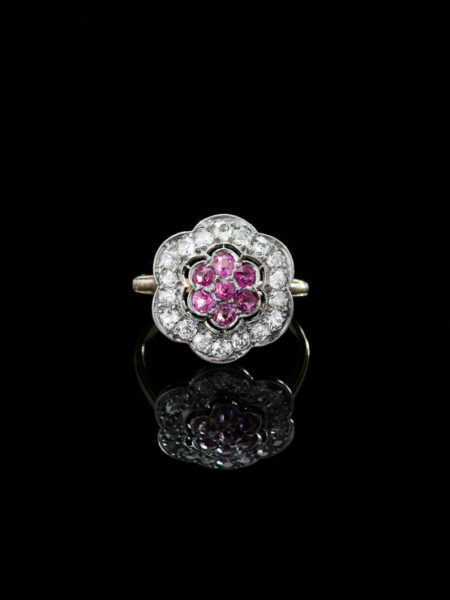 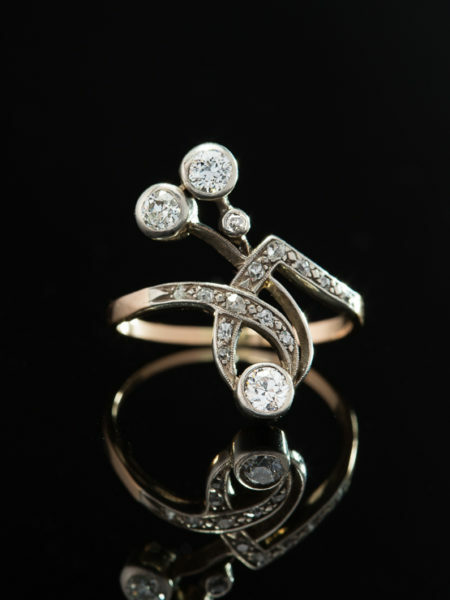 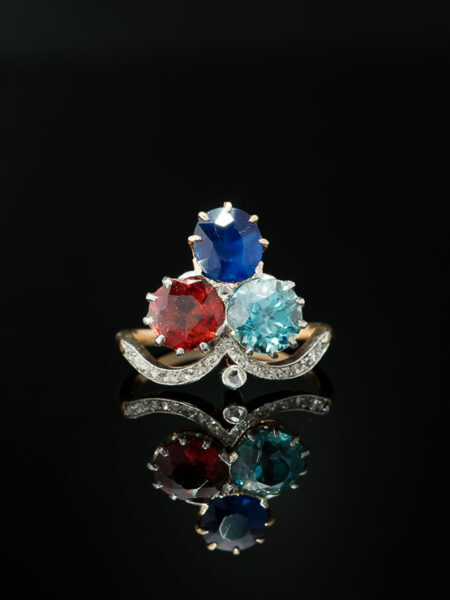 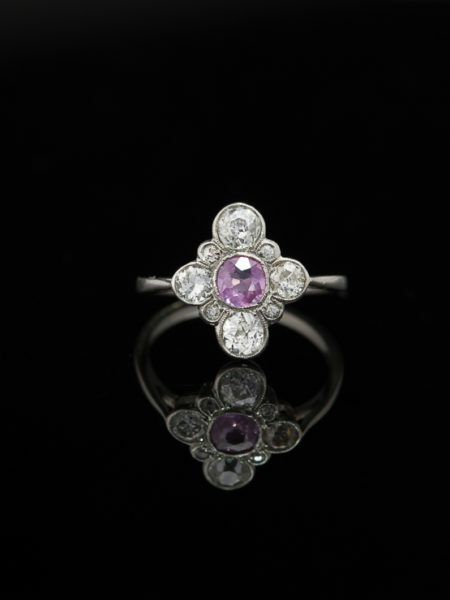 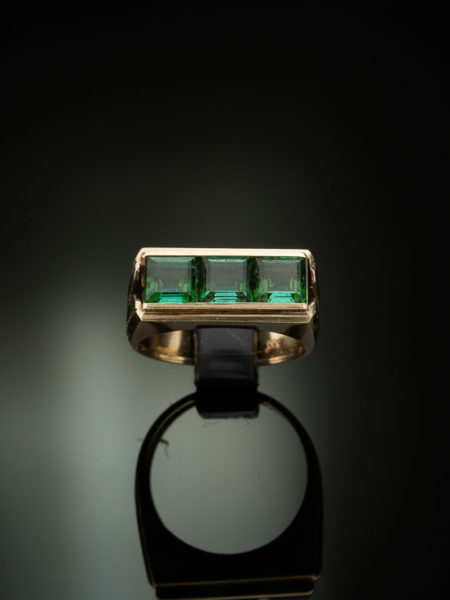 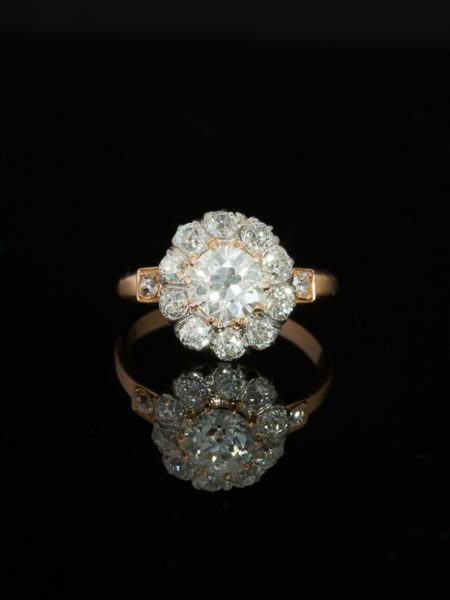 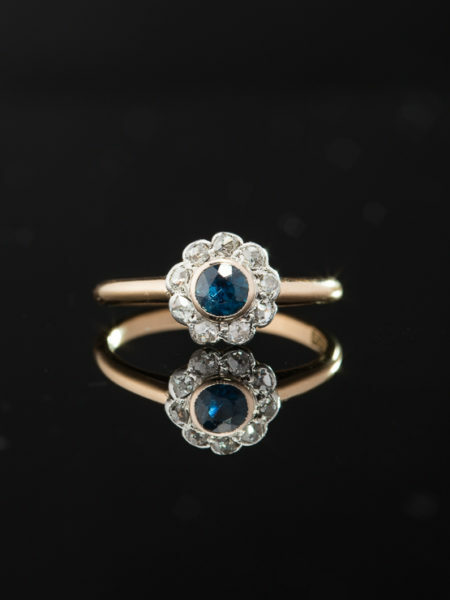 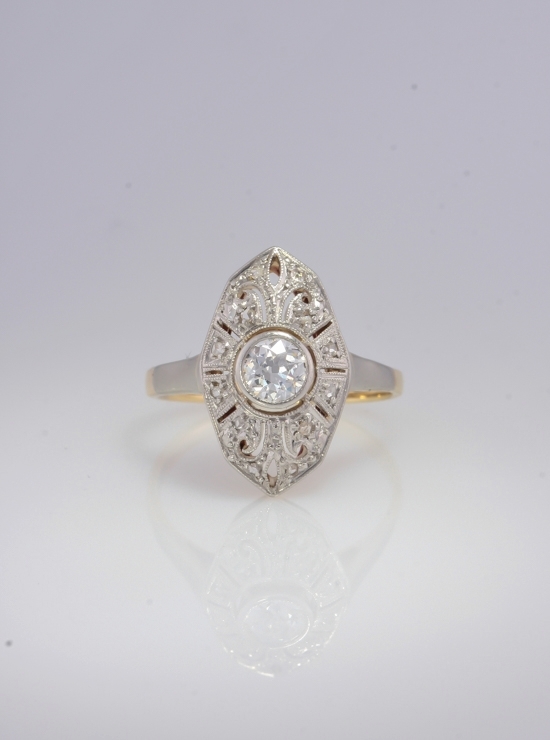 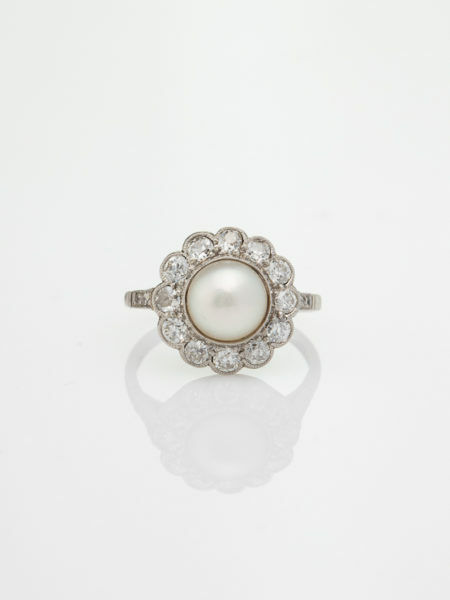 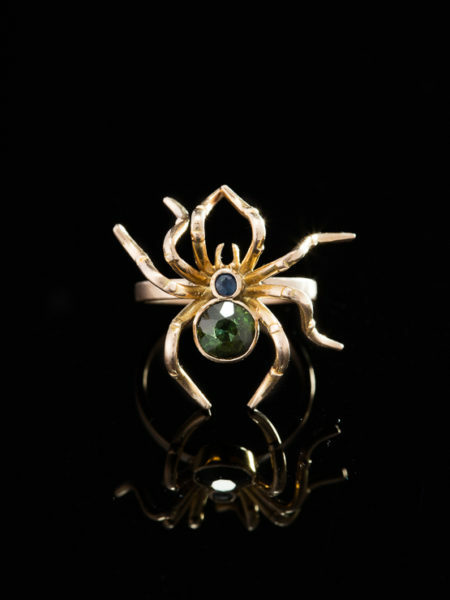 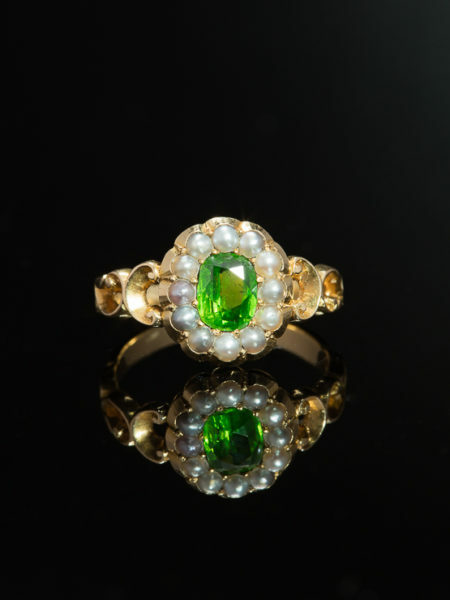 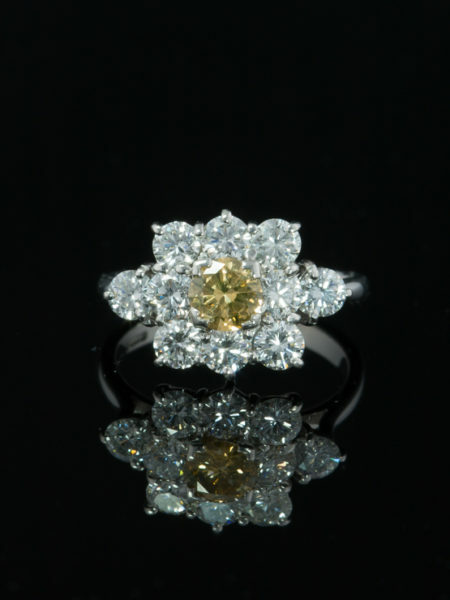 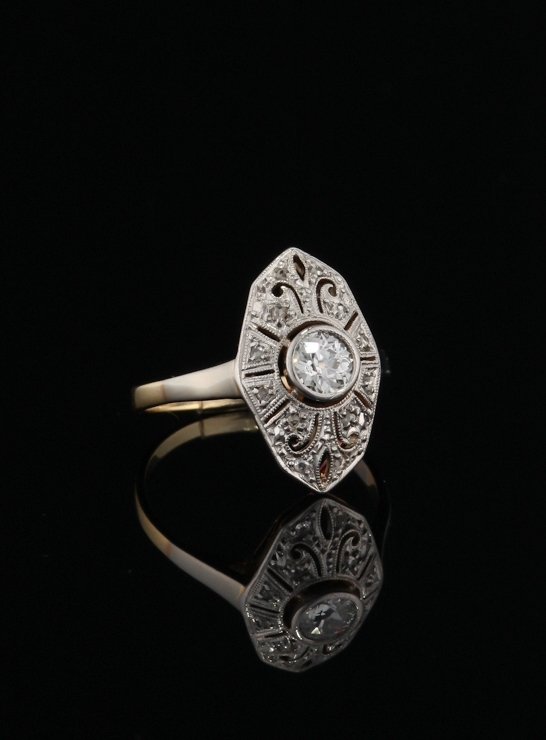 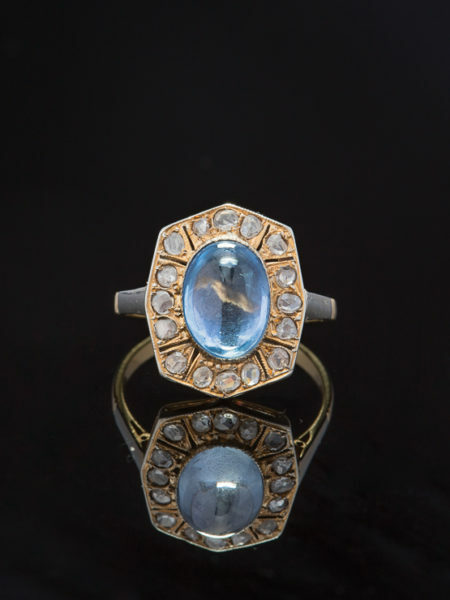 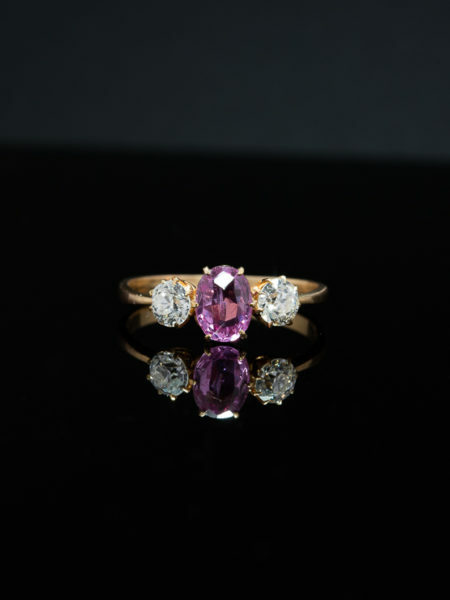 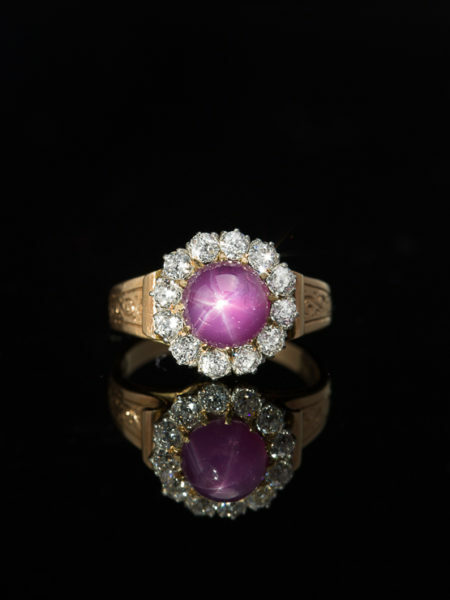 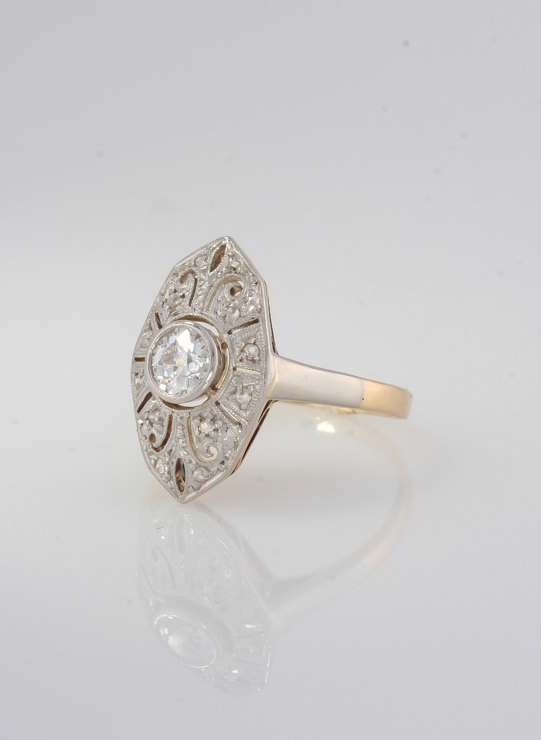 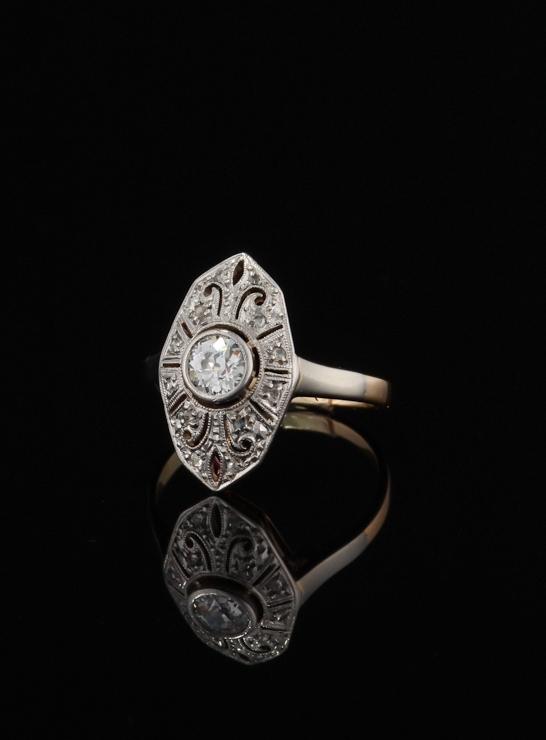 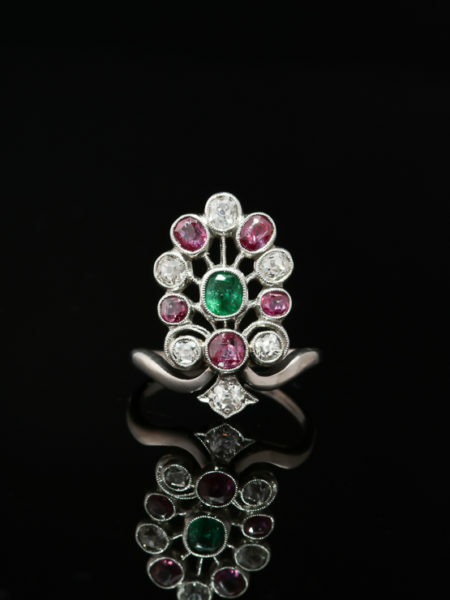 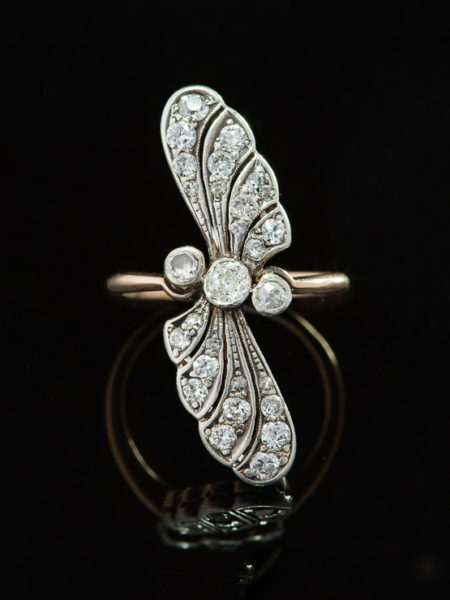 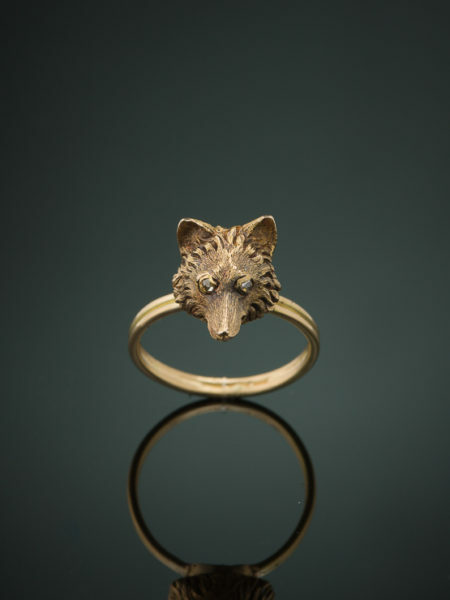 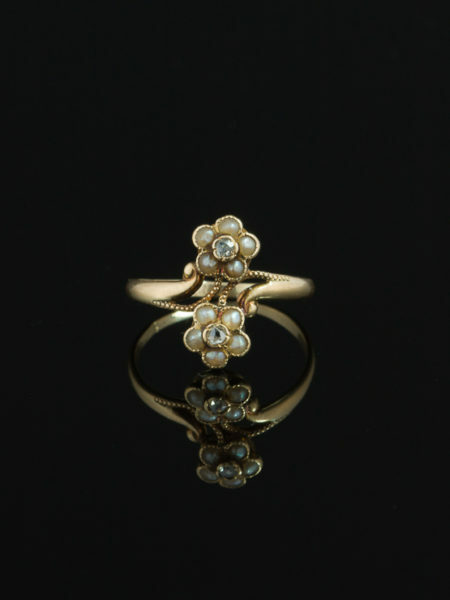 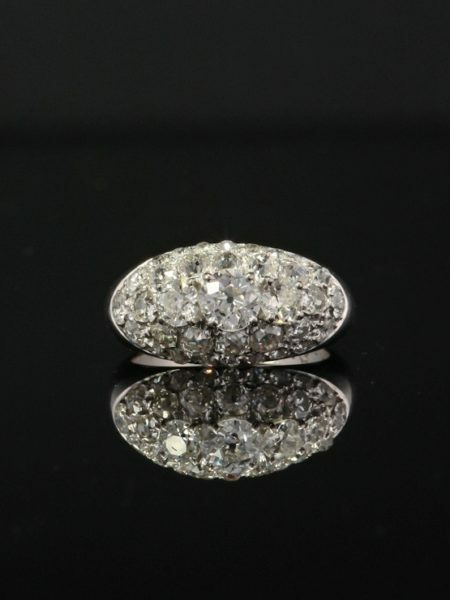 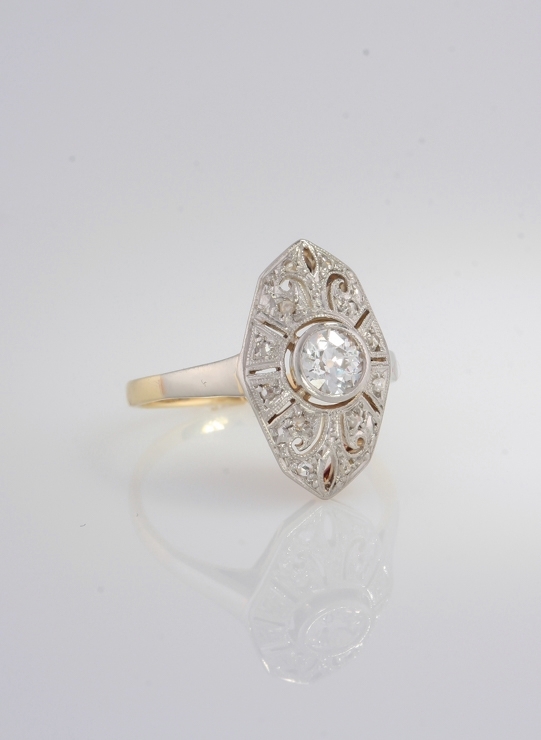 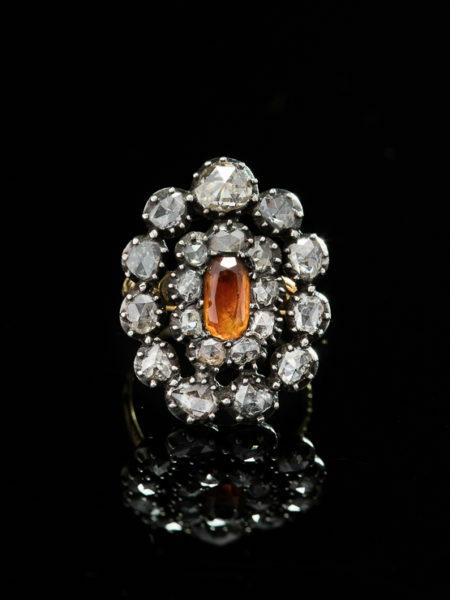 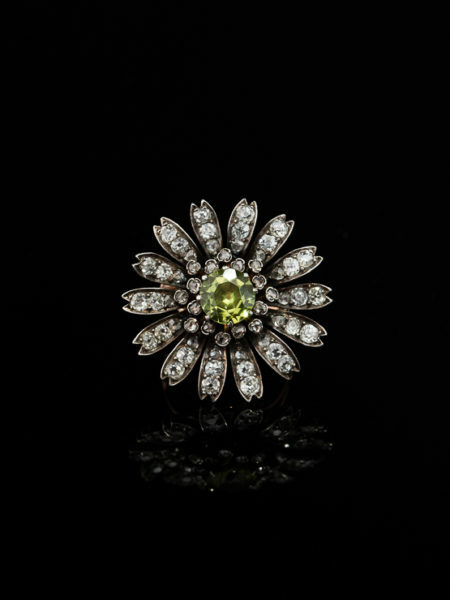 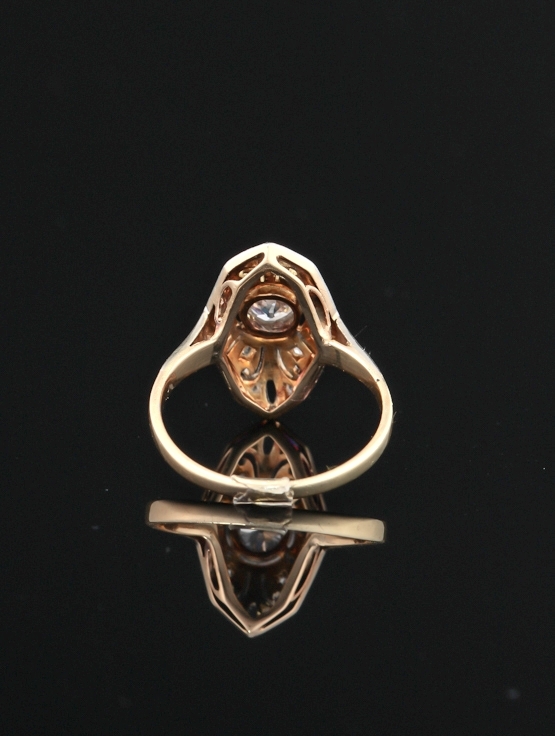 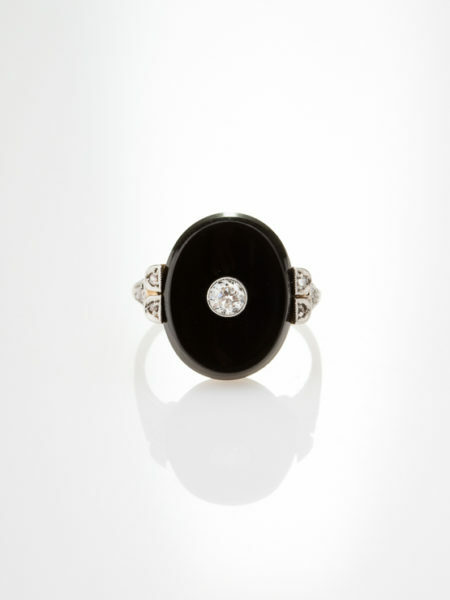 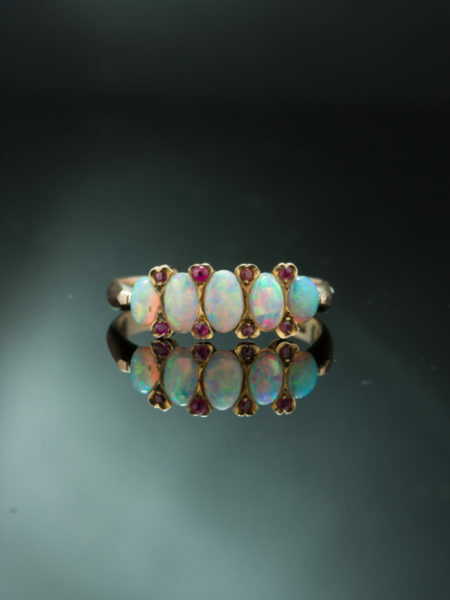 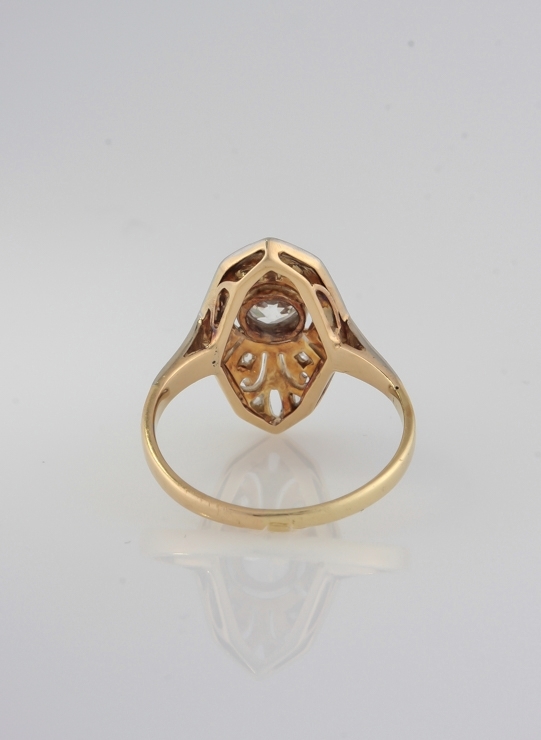 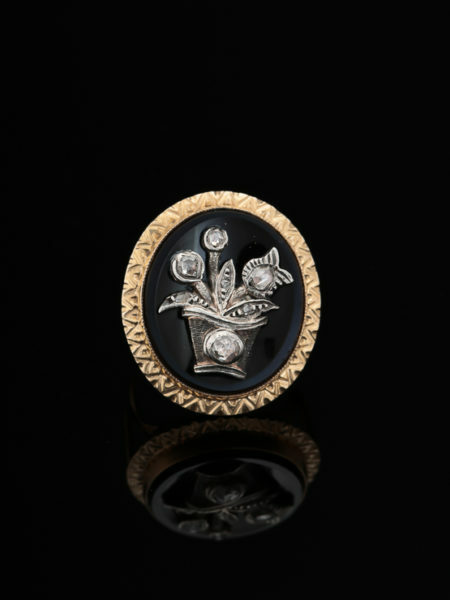 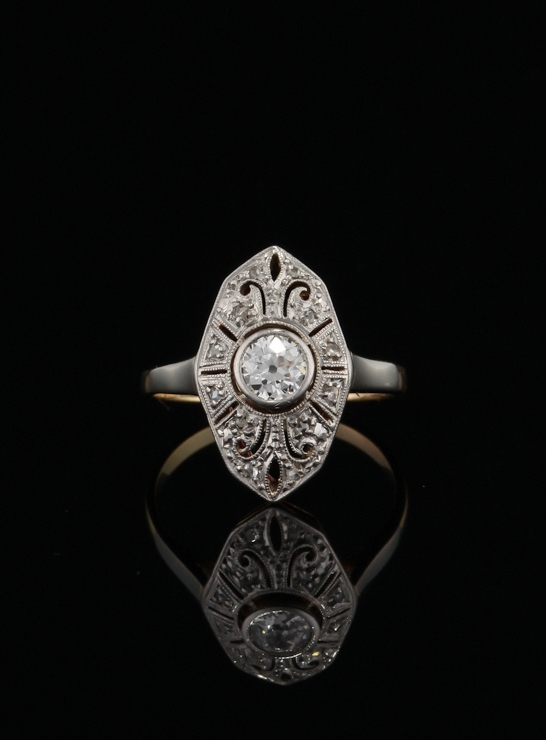 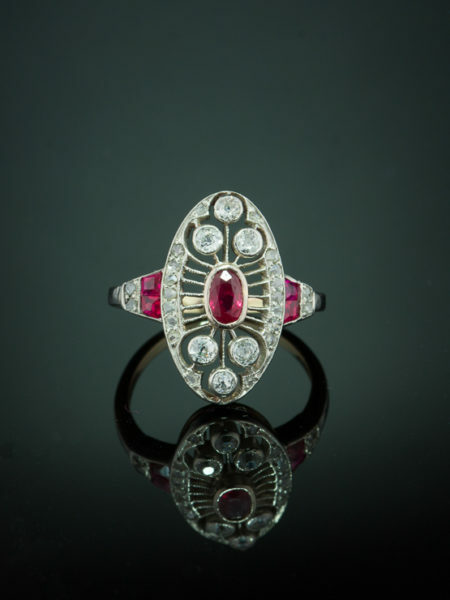 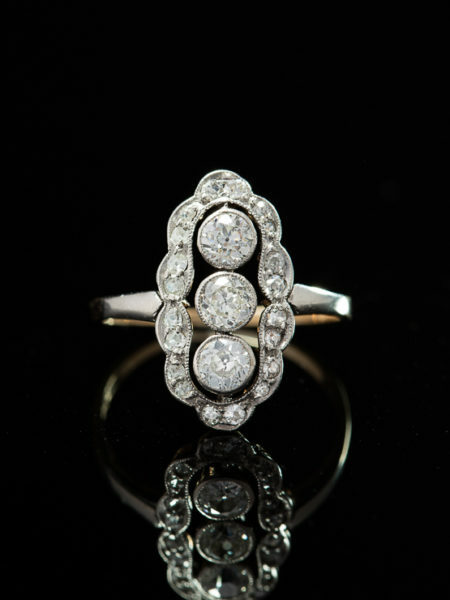 Artfully crafted in 14 Kt yellow gold and platinum during Art Deco era. 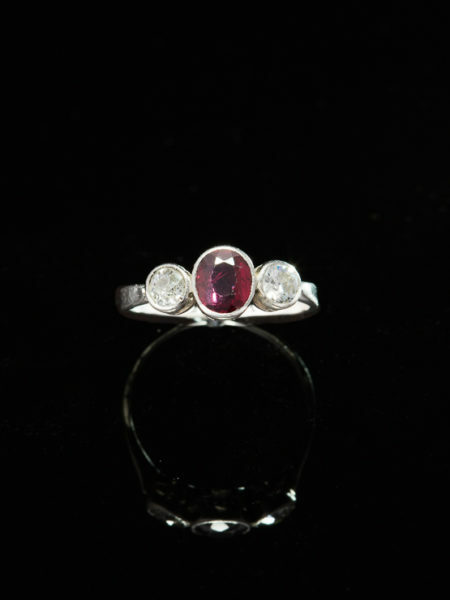 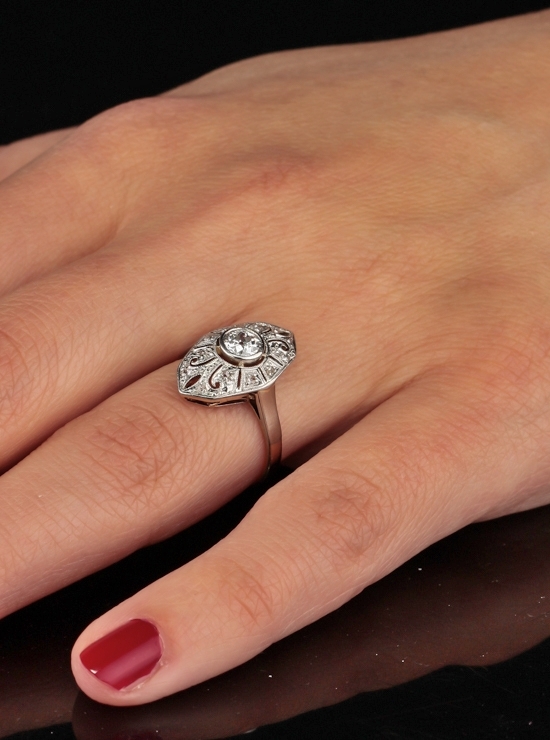 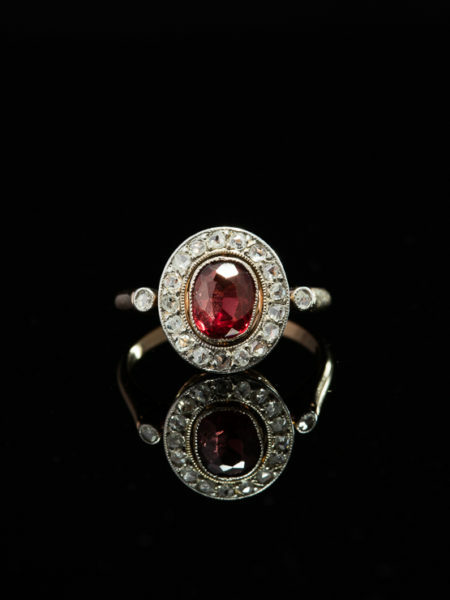 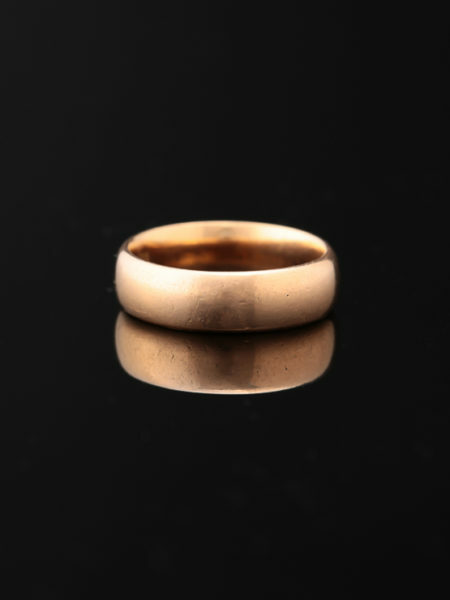 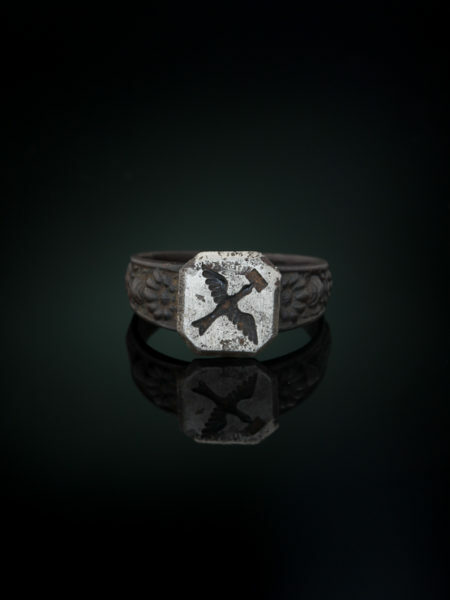 Romantic engagement or wedding ring, elegant right hand companion, perfect gift for a loved one.